Join us at the Long Lake Area Association (Hubbard County) Inc Annual Meeting on Saturday, 6/30/18, at the Hubbard Community Center, Hubbard, MN. 9:30 AM: Social, Refreshments, & Registration/Dues for 7/1/18 – 6/30/19. 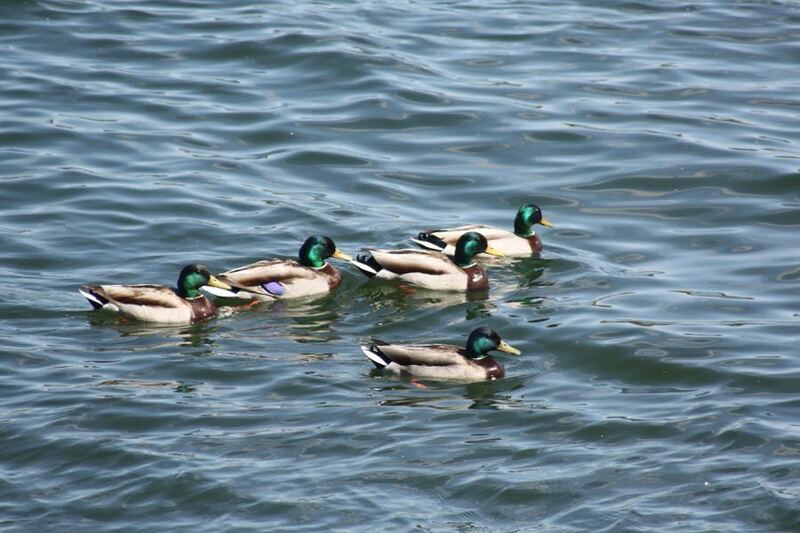 10 AM: Business Meeting is speaker Jason Durham, well-known guide and sport fishing educator of “Go Fish! 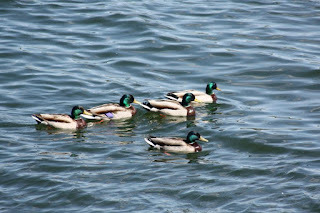 Guide Service Inc”. 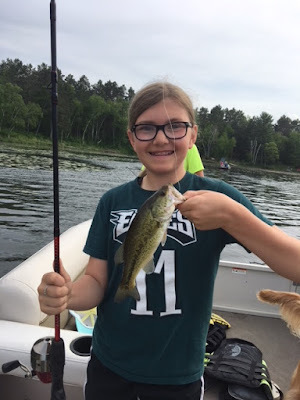 He is sought out as one of the best teachers of fishing and author of many freshwater fishing publications. 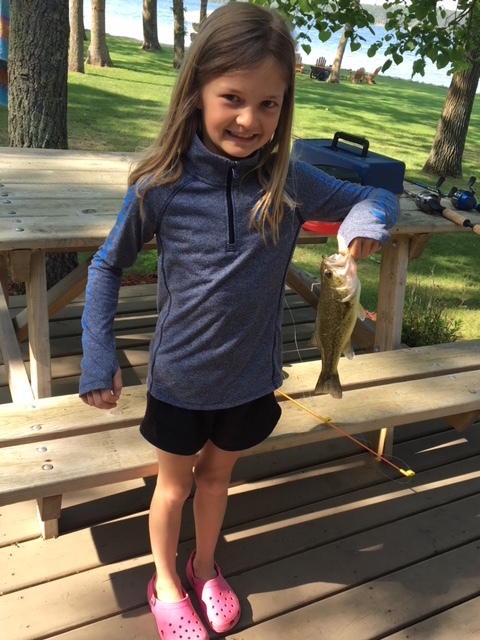 Several Long Lake families have enjoyed fishing with Jason. Neighborhoods #1, #3, #5, and one “At Large” Elections. Awards for Ice In & Ice Out and for the Fishing Challenges, both the children's and adult's. Win Door Prizes and Learn about upcoming Events! Invite your Neighbor – Open to the Public. read last year's annual minutes that will be approved at this meeting. 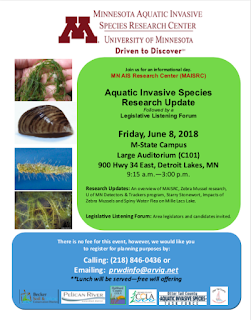 What: U of MN Aquatic Invasive Species Research Center (or MAISRC) Update followed by a Legislative Listening Forum. When: Friday, June 8th 2018, from 9:15am to 3pm. 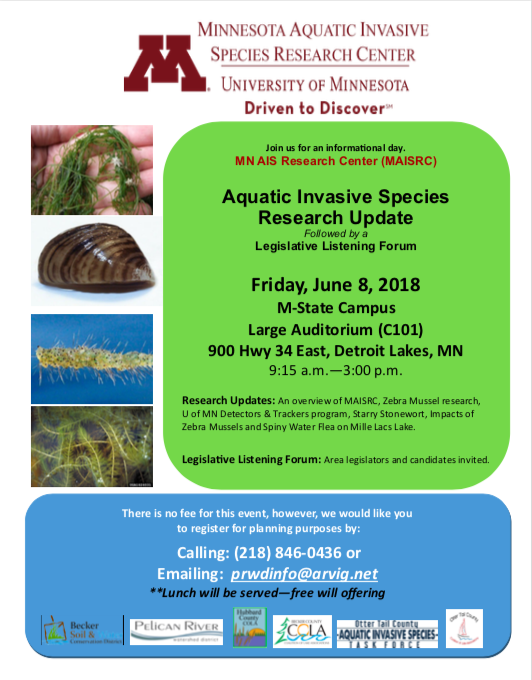 Impacts of Zebra Mussels and Spiny Water Flea on Mille Lacs Lake. Legislative Listening Forum: Area legislators and candidates invited. There is no fee for this event, however, we would like you to register for planning purposes by calling 218-846-0436 or email: prwdinfo@arvig.net. Lunch will be served - free will offering.